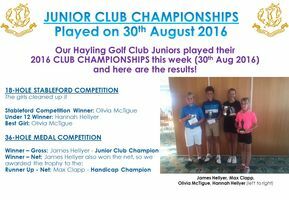 We had some great play from the juniors this year, we may even have a record as the girls got around the full 18-holes in 3-hours! Click on the image below to view the report, results and photo of the winners. 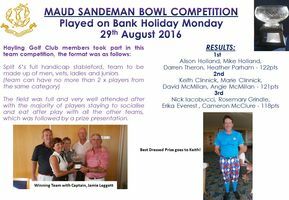 This is a team competition played by the members on the August Bank Holiday Monday. It was well supported with a full field and everyone staying on after for food, to socialise and see the winning team presented with their prize! Click on the image below to read the full report, results and photos. 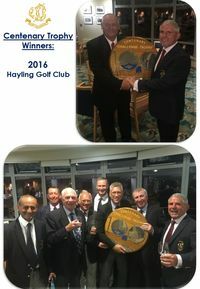 This annual invitational event played between 10 different clubs alternatives venue each year between the Army and Hayling, this year it was hosted at Hayling and the winners were.........HAYLING!! Click on the image below to view the Results and Photos from the day. We had 48 ladies at our annual Invitation Day. Invitees represented 18 different clubs around the country from as far afield as Bradford. 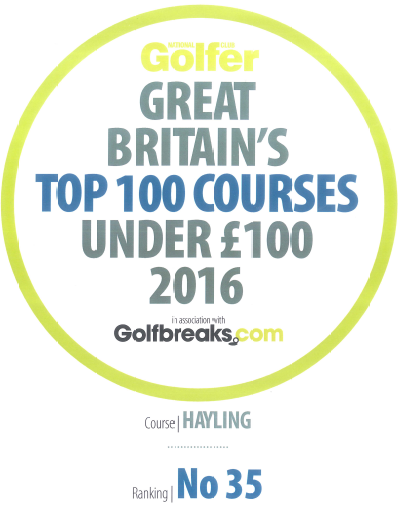 The weather was good and the course was in great condition. An enjoyable day was had by all! Click on the image below to view the 1st, 2nd and 3rd place results. 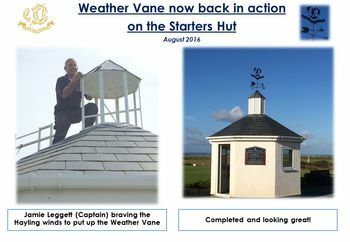 An extremely successful day with weather to match, over £5000 was raised by everyone! 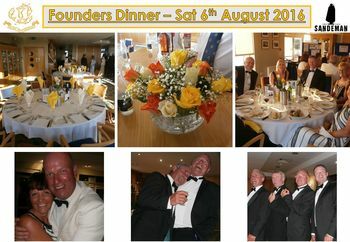 A small and intimate black tie affair - fun was had by all, click on the image below to view the photos from the night.